Dixons in talks with Carphone Warehouse over potential merger | What Hi-Fi? Europe's largest independent mobile phone retailer in discussions with Currys and PC World owner; talks at "very preliminary stage"
Carphone Warehouse and Dixons Retail – the owner of Currys and PC World – may be about to join forces after the pair entered into "preliminary discussions" over a potential merger. In a joint statement to the London Stock Exchange issued this morning [24.02.13], the two companies confirmed that merger talks had begun but were still at "a very preliminary stage". The statement said: "The Boards of Dixons and Carphone Warehouse note the recent speculation and confirm that the two companies are in preliminary discussions regarding a possible merger." However, the two companies insisted that there was "no certainty" that a deal would take place given the early stages of talks, and no decision as to the structure of any merger has been made. If the merger does goes through, it would bring together Europe's largest independent mobile phone retailer and one of Europe's largest specialist electrical retail and services firms. 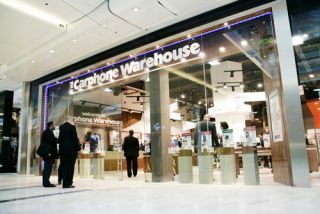 Carphone Warehouse has around 2000 retail stores across seven European countries, primarily under the Carphone Warehouse and Phone House brands. It recently announced that it had signed a "preferred partner" agreement with Samsung to run more than 60 Samsung standalone stores in European countries including the UK, Ireland and Spain. Meanwhile, Dixons has more than 900 stores across 12 countries – around 500 of which are Currys and PC World outlets in the UK. Other brands include the Elkjop Group in the Nordic region.